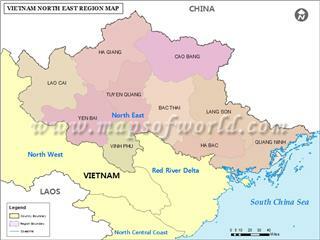 Ninh Binh belongs to Red River Delta geography zone. 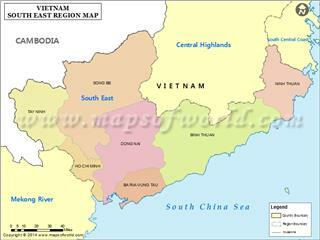 The province lies in a position from 19°50' to 20°27' north latitude and from 105°32' to 106°27' east longitude. 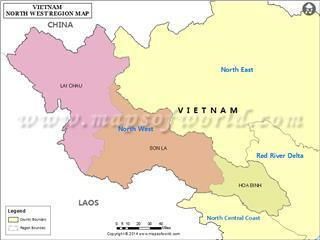 Ninh Binh city is located far from Hanoi capital 93 km to the south. 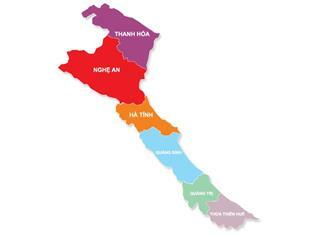 The province shares borders with four other ones including Hoa Binh in the northwest, Ha Nam in the north, and Nam Dinh in the east, Thanh Hoa in the west and the south, and the Gulf of Tonkin in the southeast. The east and northeast parts of the province are covered by Day River. In addition, the natural border between Ninh Binh and Thanh Hoa province is created by Tam Diep range of mountains running in the direction of northwest - south east. 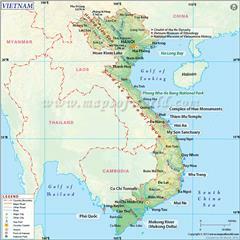 Ninh Binh topography is divided into three kinds including delta, hilly and mountainous area, and coastal zone. 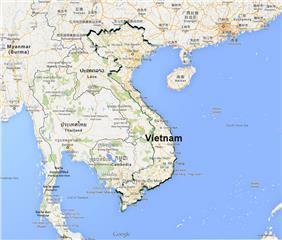 The delta includes Ninh Binh Dity, Yen Khanh District, Kim Son District and the remaining area of the other provinces. The delta area is about 101 hectares (71.1% the natural area of the province) having the average height of 0.9 to 1.2 meters. The soil of this area is mainly alluvial soil. 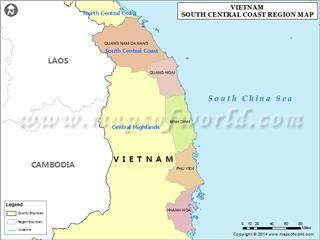 The hilly and mountainous regions are located in the west and the southwest of the province. 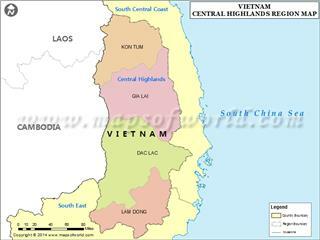 In details, this area consists of the southwest area of Nho Quan district and Tam Diep Town, the west of Gia Vien District, the southwest of Hoa Lu District and Yen Mo District. 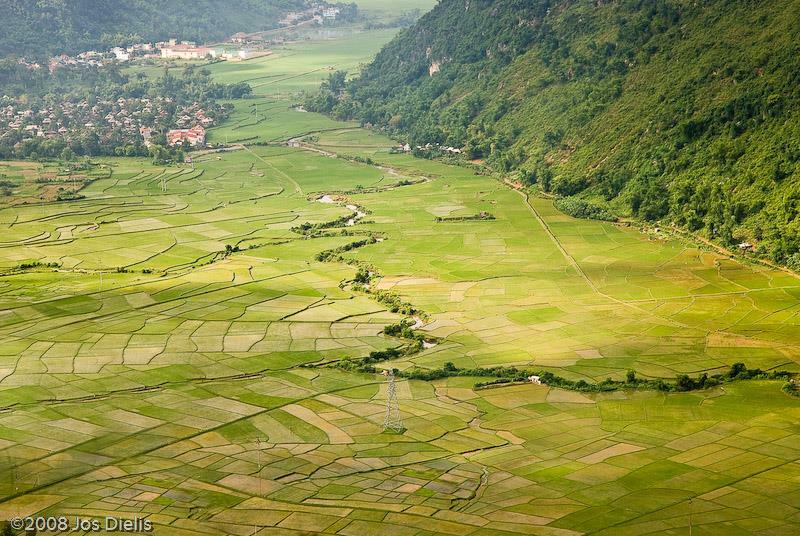 The whole area of the hilly and mountainous area is 35, 000 hectares (24% the natural area of the province). The average elevation of the region is 90 - 120 meters; especially, the limestone has over 200 meters in height. 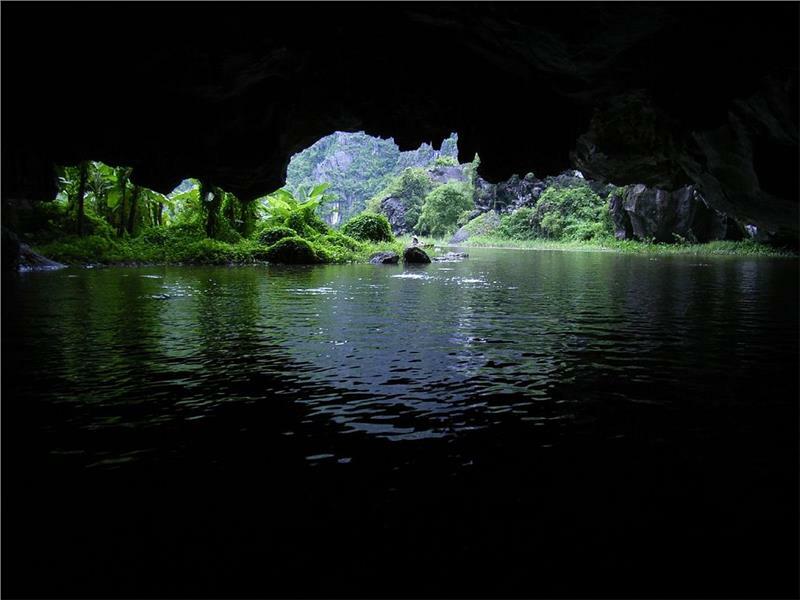 During the process of creating mountains and hills 200 million years ago, a plenty of beautiful caves such as Tam Coc, Bich Dong, Dich Long, Xuyen Thuy Dong, Ban Long, Hoa Son and so on were formed in the range of limestone. 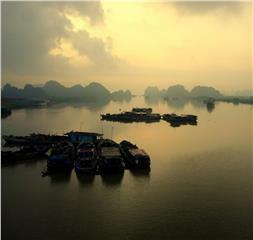 Ninh Binh has over 15 km of coastline. 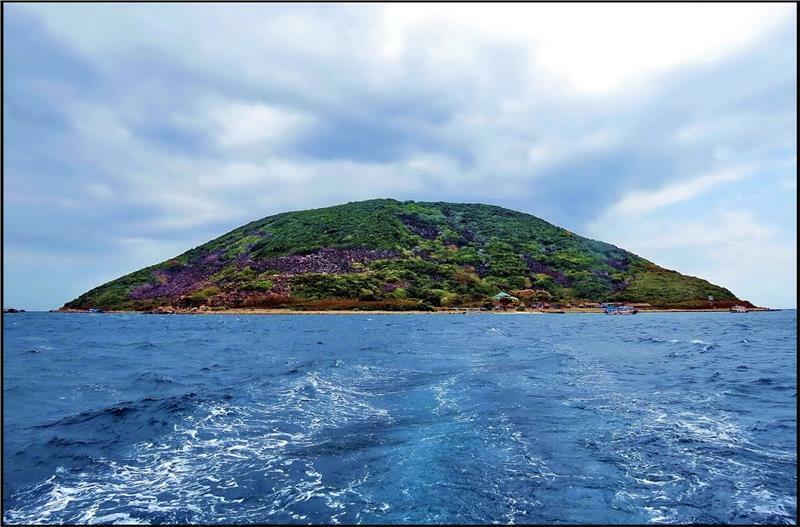 The coastal zone consists of four coastal communes belonging to Kim Son district including Kim Trung, Kim Hai, Kim Dong and Kim Tan. 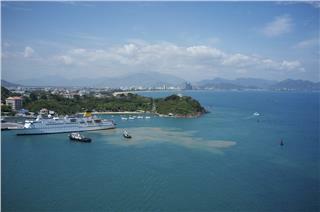 The area of the coastal area is approximately 6,000 hectares (4.2% the natural area of the province). 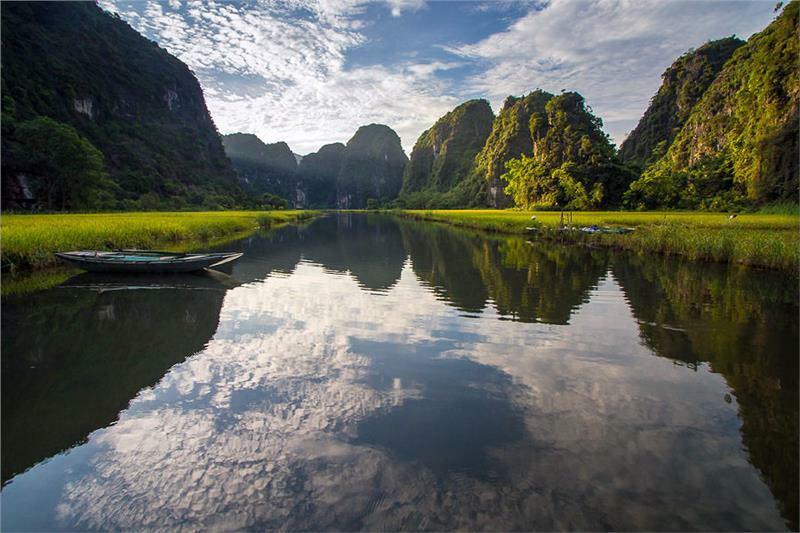 The coastal areas and beaches of Ninh Binh were recognized by UNESCO as the world's biosphere reserve. 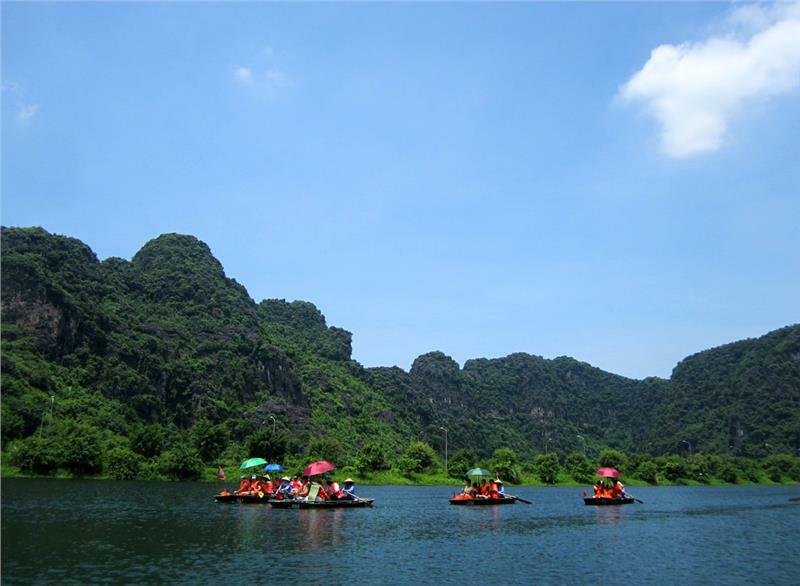 Ninh Binh weather belongs to the humid subtropical climate having hot and humid summers and cold and dry winters. April and October have the climate of spring and winter; however, it is not as clear as the other regions in the tropical belt. Rainfall: The province has more rains from May to September and less rainy from November to March. The annual average rainfall is 1,700 to 1,800 mm. 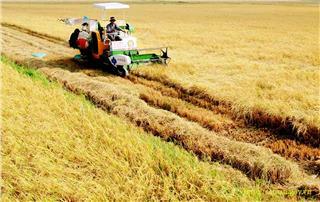 However, the rainfall is unevenly distributed with 70% the rainfall concentrated in summers. 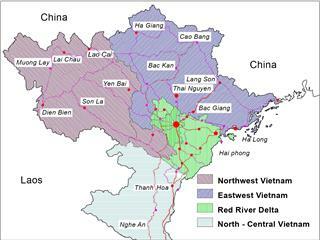 Ninh Binh river system consists of Day River, Hoang Long River, Boi River, An River, Vac River, Lang River, and Van Sang River. 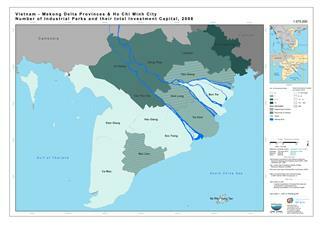 Having the total length of 496 km, rivers in Ninh Binh are widely distributed in the province. The average density of rivers and streams is 0.5 km/km2. 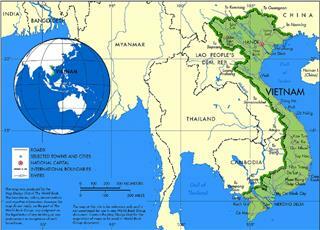 These rivers often flow in the direction of northwest - southeast and flow into the South China Sea. The tidal regime in the coastline of Ninh Binh is diurnal tide and semi - diurnal tidal. In general, the tide in Ninh Binh is relatively weak, in details, the average tidal range of 150 - 180 cm per day with the highest number of 270 cm and the smallest one of 2 - 5cm. 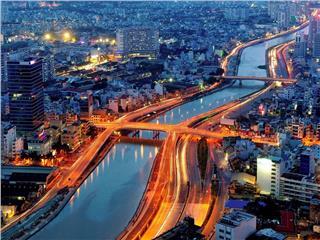 Being known as the capital of Vietnam, Hanoi plays a strategic role in the development of the whole country. 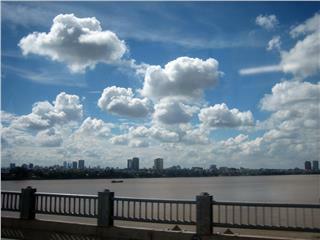 The diversity of Hanoi geography has greatly helped the city to fulfill its mission. 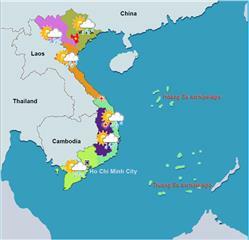 With regard to Haiphong geography, this is the largest port city and the third biggest city of Vietnam after Ho Chi Minh City and Hanoi capital. The city is located in the favorable position to promote transportation.